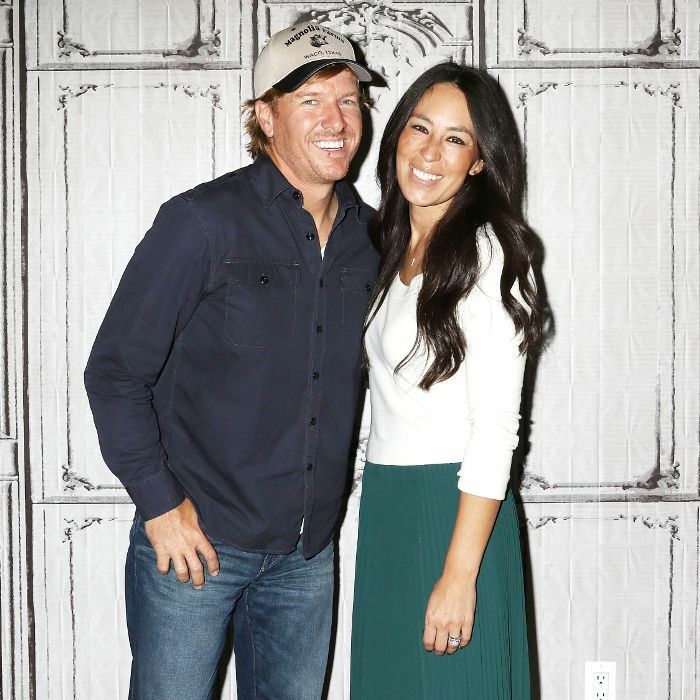 It hardly comes as a surprise that most reality TV shows don't reflect reality, but it's hard to imagine Fixer Upper's Chip and Joanna Gaines as anything other than the playful, talented characters they portray onscreen. There's been a lot of buzz about the pair lately, thanks to the announcement of a décor line with Target and interviews with former cast members, who have spoken out about what it's like to work on the show. Blogger Rachel Teodoro admits she's "accidentally became a Fixer Upper expert" after her exclusive interviews with cast members. In 2016, she spoke to Season 3 alum Jaime Ferguson, and more recently, Lindy Ermoian. Here are some of the behind-the-scenes insights we gleaned from Teodoro, including what it takes to be on the show and whether you actually get to keep the furniture. Each episode usually kicks off with a house-hunting scene, but according to Insider, this is usually staged. Former cast members explain that they typically have already chosen a home before the show even starts filming. Teodoro reveals that clients don't get to just move into their home after the final reveal. After shooting, furniture is removed from the staged space, so you'd better have some extra room in the budget to buy the basics. "[Chip and Joanna] want to go all-in on the renovation budget, and while most clients have a home full of furniture already, many do find pieces they would like to purchase after the reveal, and they may not have the budget for those pieces," she writes "Because as we all know now, you don't get to keep the furniture." If you want to be considered for a home makeover on the show, Teodoro says you need to carefully select which house you buy. "The show requires at least $30,000 in renovations to be done, and show applicants have been turned away for not having enough wrong with their home," she explains. "If you want to be selected for the show, a gut job is usually desired. Joanna really wants an inside and outside makeover." Obsessed with Fixer Upper? You'll love these home décor TV shows.